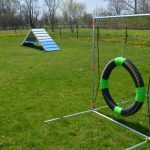 Dog lovers and their four-legged friends revel at the off-leash dog park, Bark Park, which features large and small dog play areas with agility equipment. 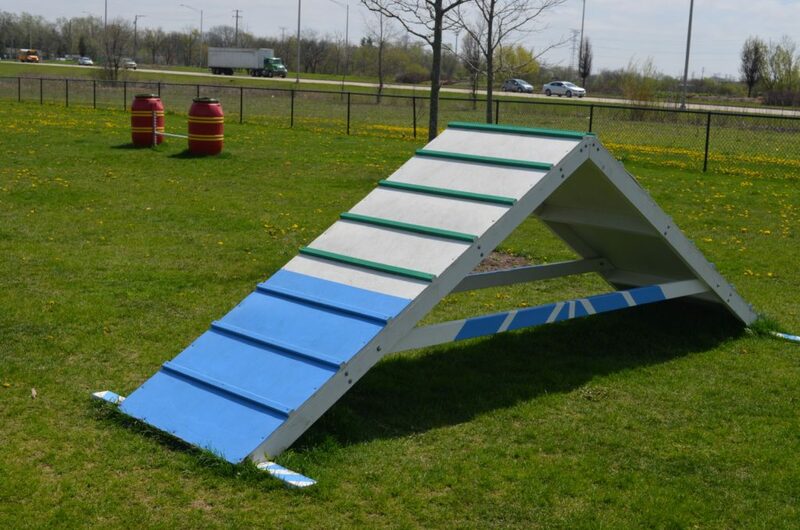 Carol Stream’s off-leash dog park includes fenced play areas for large and small dogs. Parking is available at Volunteer Park off Kuhn Road and at the motel just west of the park off North Avenue. No water is available at the dog park, so please bring a water bottle and bowl for your pets. Membership is required. 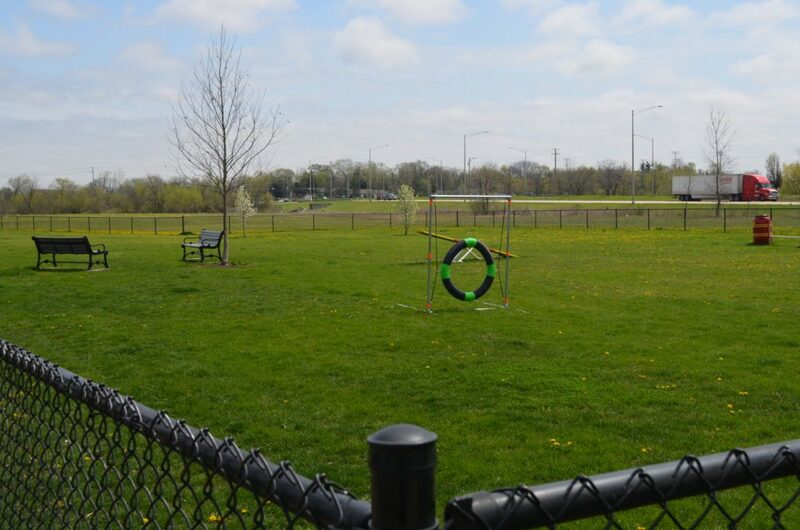 Contact us for more information about the Bark Park or Dog Activities at 630-784-6100. 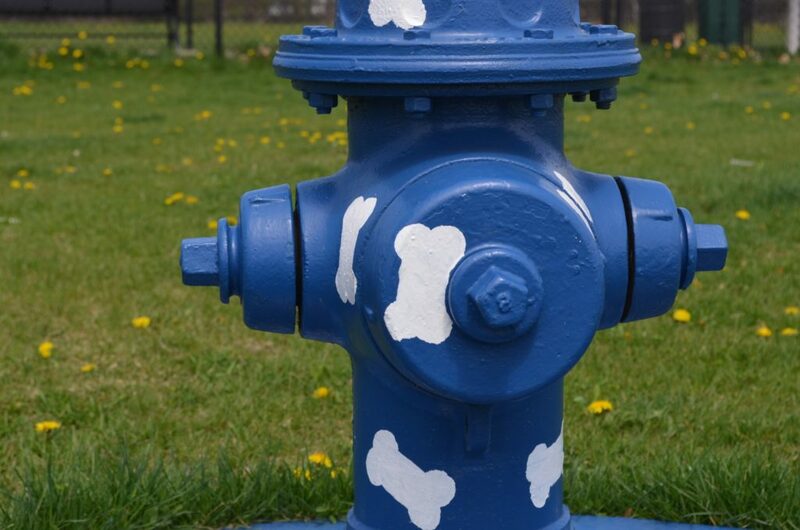 Bark Park users are required to purchase an annual pass for the dog park. Memberships are sold throughout the year and run January 1 through December 31. A reduced membership fee is available starting July 1 and expiring December 31. 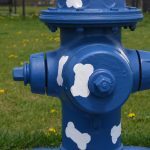 Village of Carol Stream residents must have their dogs licensed by the Village and DuPage County once they reach 6 months of age. Written evidence of inoculation must be presented as proof to apply for a dog license. An annual $3 license fee is charged for male and spayed female dogs while a $5 license fee is charged for unspayed female dogs. The Village annual license period is from January 1 through December 31. The Village license may be purchased at the same time a Bark Park pass is purchased. 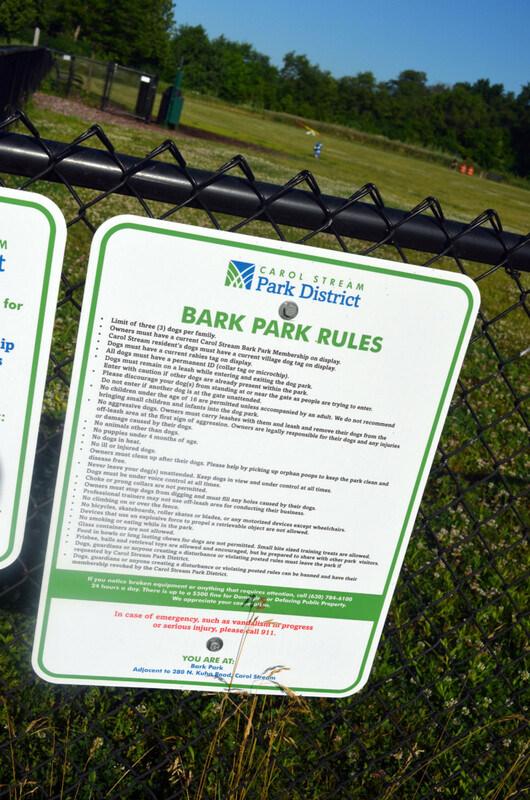 Bark Park annual passes and Village of Carol Stream dog licenses may be purchased at Fountain View or Simkus Recreation Centers or at the Village of Carol Stream (500 N. Gary Ave). * Rates are per household. 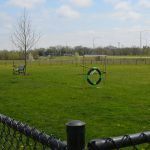 Passes for the Carol Stream Bark Park, and Village of Carol Stream dog licenses, are available to purchase at Simkus and Fountain View Recreation Centers. Proof of rabies vaccination must be shown to purchase a village license or Bark Park Pass. We offer a variety of programs to assist you in training your pet to be a good companion and safe. Dogs, guardians or anyone creating a disturbance or violating posted rules must leave the park if requested by Carol Stream Park District. Enjoy the park with up to three (3) dogs per person in the off-leash area. Keep your dog(s) current on distemper, parvovirus and rabies vaccinations. Dogs should also receive year round heartworm prevention treatment and flea prevention treatment. Do clean up after your dog(s). Please help by picking up orphan poops to keep the park clean and disease free. Do keep dogs on a leash while entering and exiting the dog park. Enter with caution if other dogs are already present within the park. 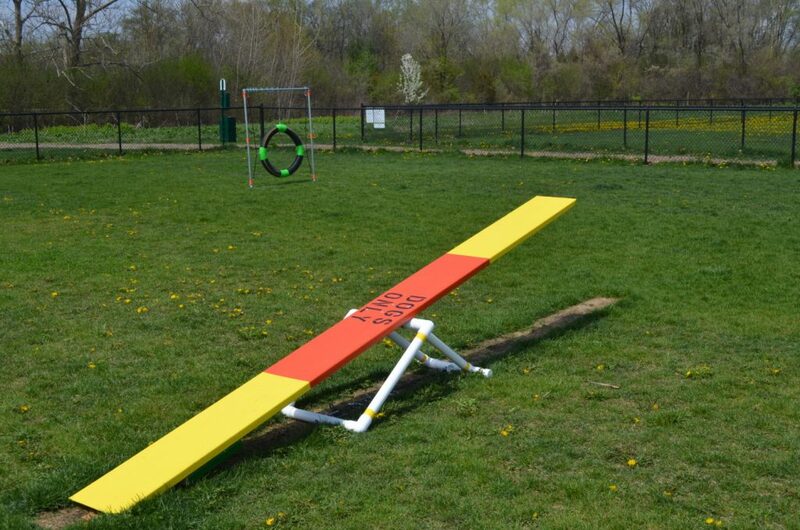 Do play with frisbee, balls and retrieval toys, but be prepared to share with other park visitors. Keep dogs in view and under control at all times. 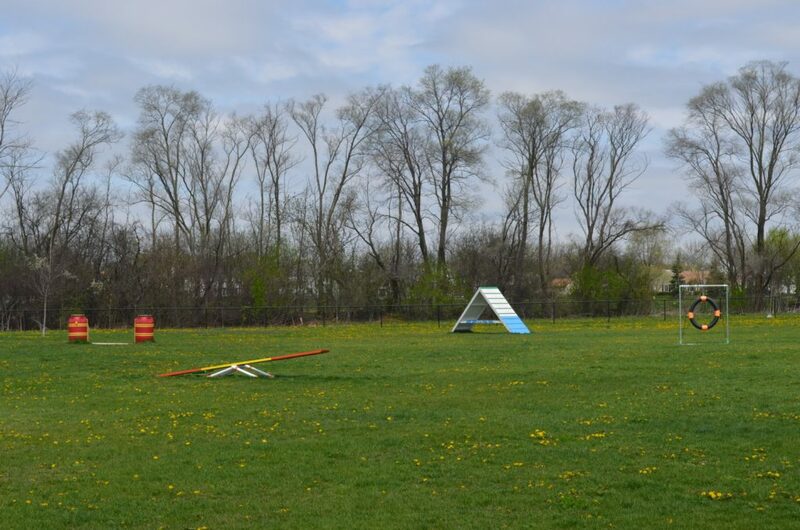 Allow your dog(s) to stand at or near the gate as people are trying to enter. Enter if another dog is at the gate unattended. Allow your dog(s) to dig in the park, owners must fill any holes caused by their dog(s). Use the off-leash area for conducting professional training classes without approval. Climb on or over the fence. Use bicycles, skateboards, roller skates or blades, or any motorized devices except wheelchairs in the park. 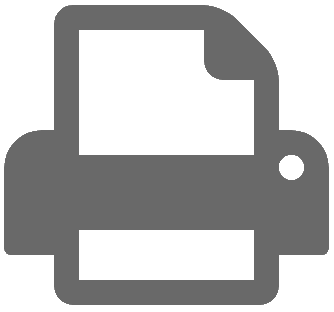 Use devices that use an explosive force to propel a retrievable object. 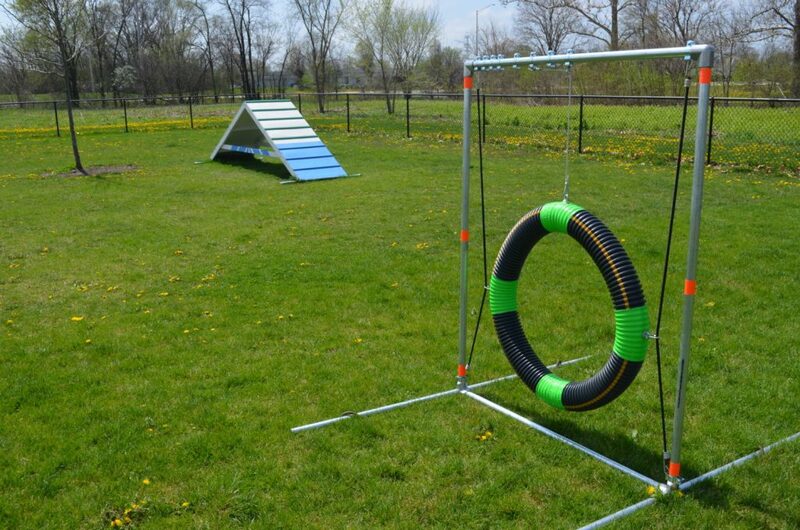 Allow your children to play on or with the dog agility equipment. Children under the age of 16 unless accompanied by an adult. Children have a tendency to scream and run when excited, which can trigger a dog’s prey drive or natural instinct to chase. For this reason and for the safety of your children, we do not recommend bringing small children and infants into the dog park. 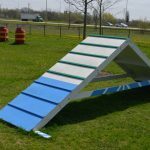 The dog agility equipment is for dogs only. Children need to be supervised and kept off the equipment. Aggressive dogs into the park. Owners must carry leashes with them and leash and remove their dogs from the off-leash area at the first sign of aggression. Owners are legally responsible for their dogs and any injuries or damage caused by their dogs. Dogs who are in heat. Puppies under four months of age. Choke or prong collars are not permitted in the park. 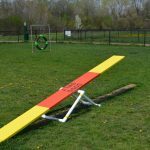 They can snag on trees, fencing or park furniture, as well as on another dog’s mouth. Cigarette butts and food wrappers are tempting and unhealthy for dogs. Food in bowls. Water is a good idea for the dogs during spring, summer and fall. The park is still open in the winter. Long lasting chews for dogs. Small bite sized training treats are allowed.